Hardwood flooring has character strength, and beauty, along with weathered planks, traditional or wide widths, glossy and smooth options. 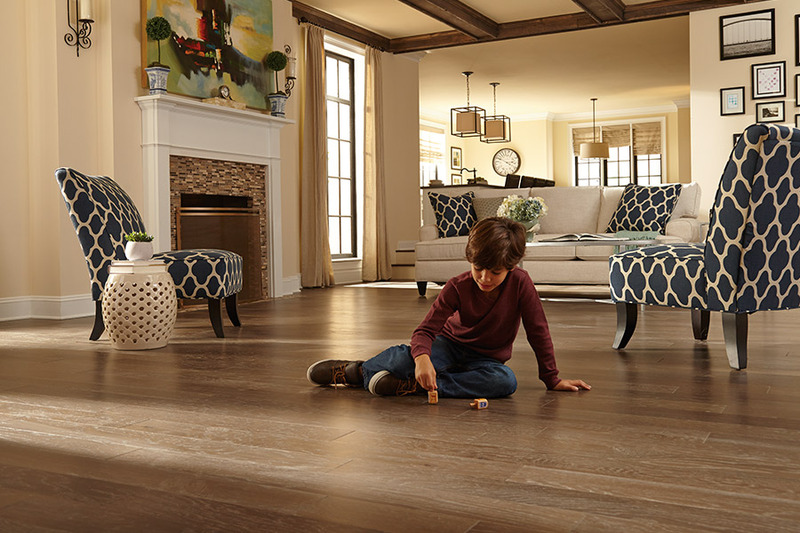 Hardwood of today is milled and finished with techniques that require less maintenance than hardwood of the past. You can have the character you want in a floor that will last. Hardwood floors come in various colors. Whether you choose dark or light, the selected color makes an impact on the design of a room. Modern décor often has dark colored stains. Traditional décor pairs nicely with medium stains. 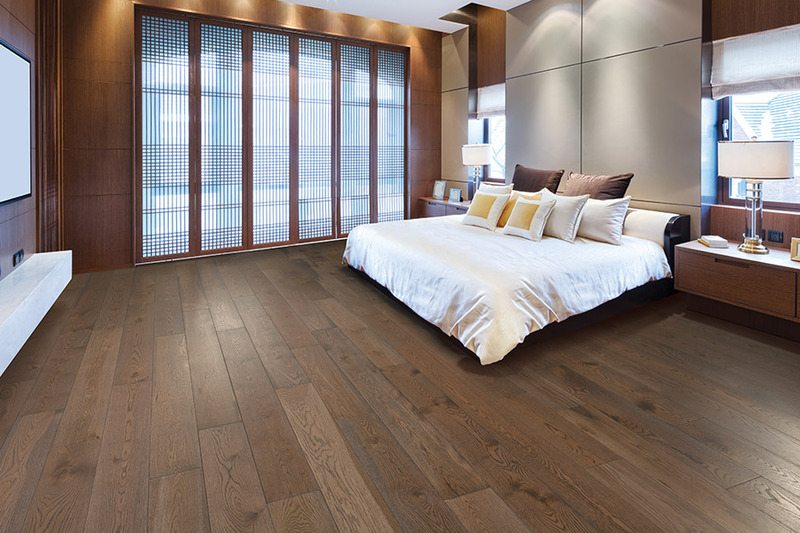 The width of hardwood planks varies from a little over two inches to approximately seven and one-half inches in width. Narrow planks are typically referred to as strips. They have a traditional look. Narrow hardwood planks cause an illusion that makes the room look larger. 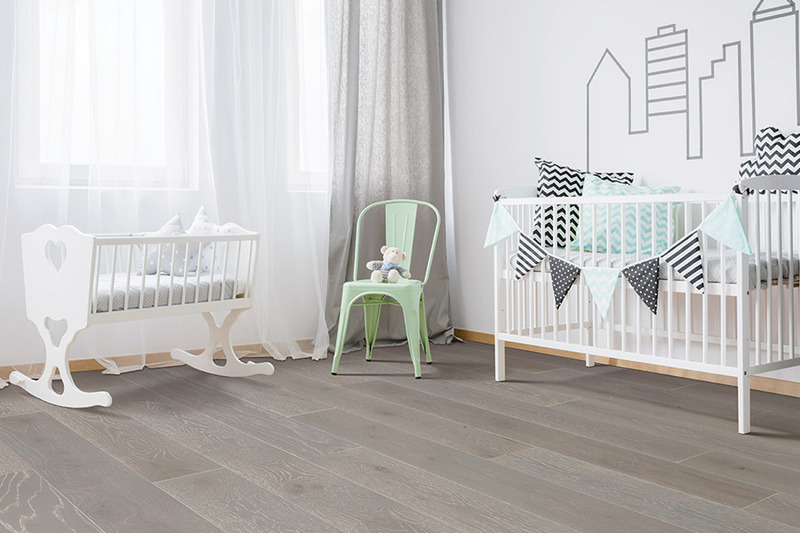 A rustic look is created with wide planks. They provide an intimate feel in large spaces. 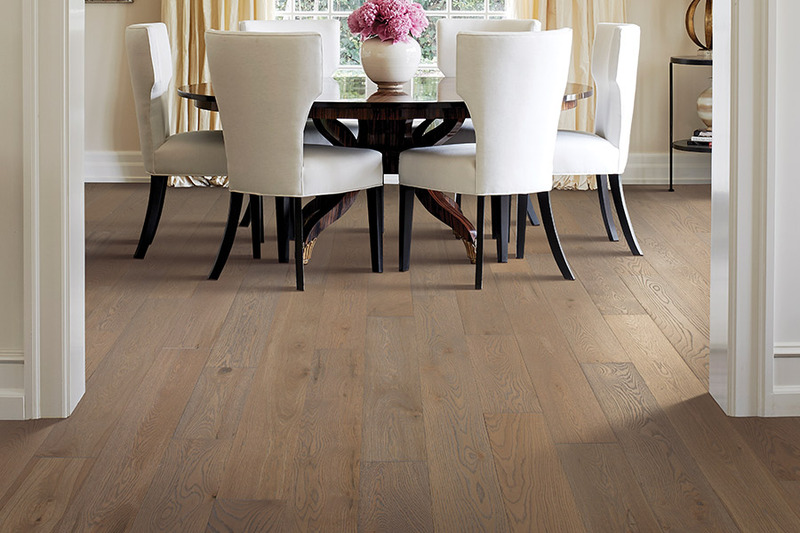 Solid hardwood consists of single wood planks that can be customized and re-sanded to change the finish. 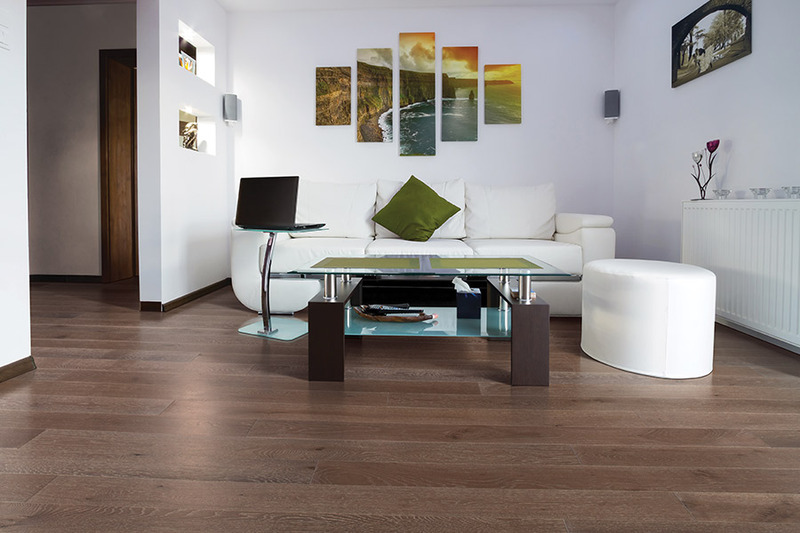 Engineered hardwood consists of layers of wood laminated together. The grains of each layer run at different angles. 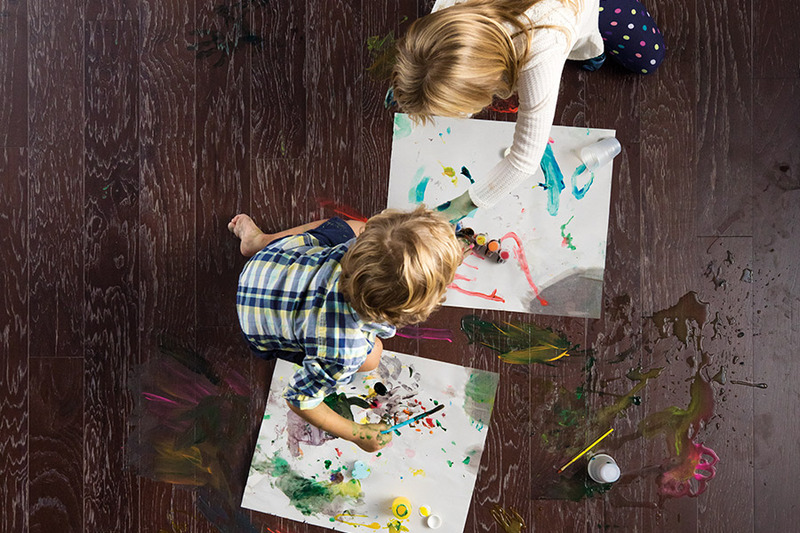 Engineered hardwood looks just like solid hardwood, but is structurally more stable and can be installed anywhere, even in rooms below grade where moisture might be an issue. To ensure that you select the hardwood floor that matches your home design, budget, and lifestyle, compare different types of hardwood. Talk with one of our Manasota Flooring showroom consultants. We have showrooms in Bradenton, Sarasota, Tampa, and Venice, Florida. We have been serving customers form Lakewood Ranch, Longboat Key, Sarasota, and Siesta Key for more than 40 years. 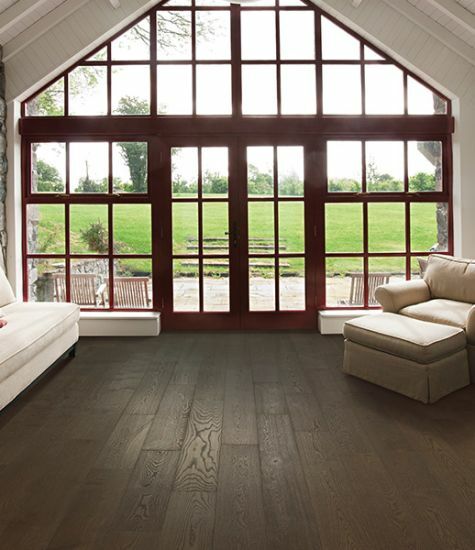 We offer free estimates for hardwood floor installation.